We are nothing without you! with any new or renewing membership through June 1, 2013. We're offering gifts, prizes, competitions, and giveaways. 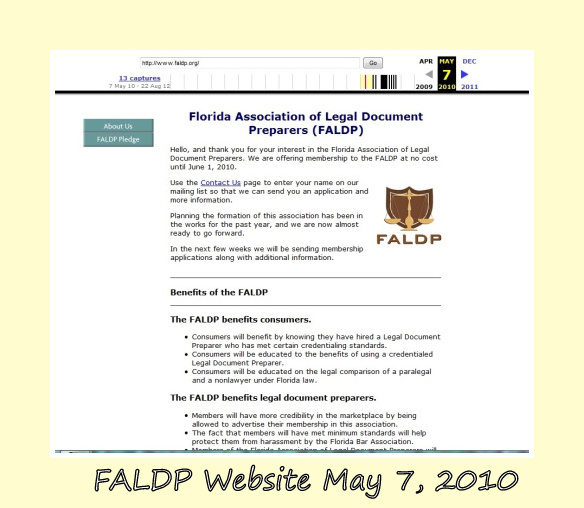 Prominent display of FALDP logo. Essay Competition - Document Preparers Only - Why I love FALDP. Or - How FALDP Transformed my Business. Winner receives one year free membership in FALDP. There is no clear winner yet. The winner of the Customers Only Essay Competition will be announced at a later date. We had so many entries to sort through, we have not yet been able to make a decision. Please check back soon! Essay Competition - Customers Only - My Pro Se Story - Or - How a Document Preparer Helped Me. Winner receives a $40 Visa Gift Card. 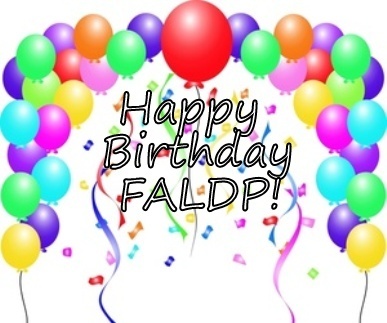 FALDP Acronym - What does FALDP stand for? Besides the Florida Association of Legal Document Preparers. We thought of Freedom Always Lets Democracy Proceed. Brainstorm it. Up to five entries per member. Winner receives a FALDP Tote as seen on our Products Page. 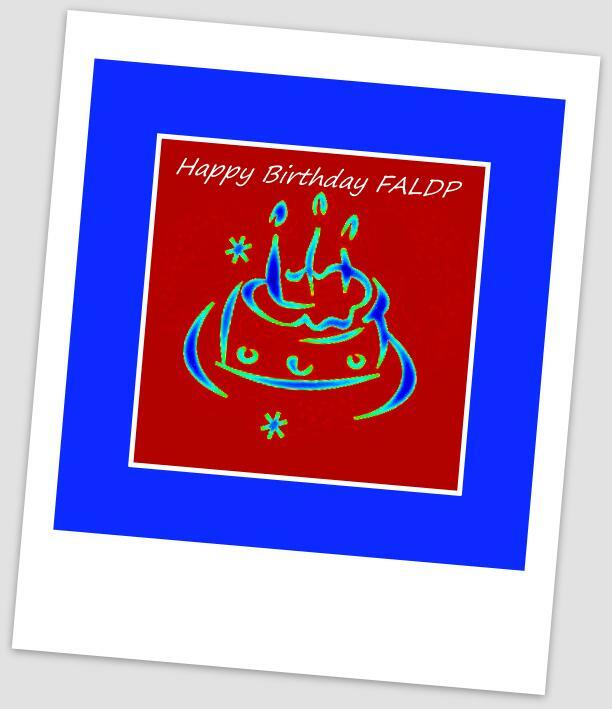 Please visit our FALDP Products page. We are introducing special products in honor of our third birthday. Free ID Card with all new Premium membership and Premium renewal until June 1, 2013. The graphic above is from the "Wayback Machine" on Alexa.com. Please join us in celebrating our birthday. We welcome your participation. More details to come.